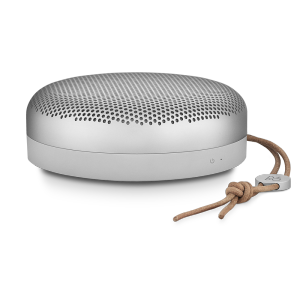 What makes the SoundTouch™ 20 system so special? Just press one button, and you’re immediately enjoying your favourite Internet radio station. A podcast. Or an iTunes® playlist. Your favourite music that usually takes clicking or tapping and scrolling just to access. Now it’s right at your fingertips—like having your favourites on speed dial. No computer, tablet or smartphone needed. 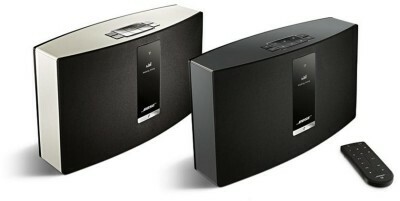 Plus, you’ll be treated to rich, full-range sound that brings your music to life. Yes, it’s compact. Who wants big and clunky? 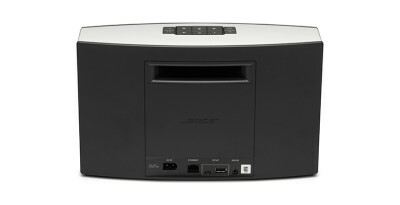 But rest assured, the SoundTouch™ 20 system delivers sound way beyond its size. Custom-designed transducers produce surprisingly clean mid and high frequencies so vocals and instruments sound lifelike, while an advanced ported enclosure gives the sound sufficient punch to easily fill a room. Meanwhile, proprietary digital signal processing keeps the performance evenly balanced, whether you crank the volume or play it at late-night bedside levels. 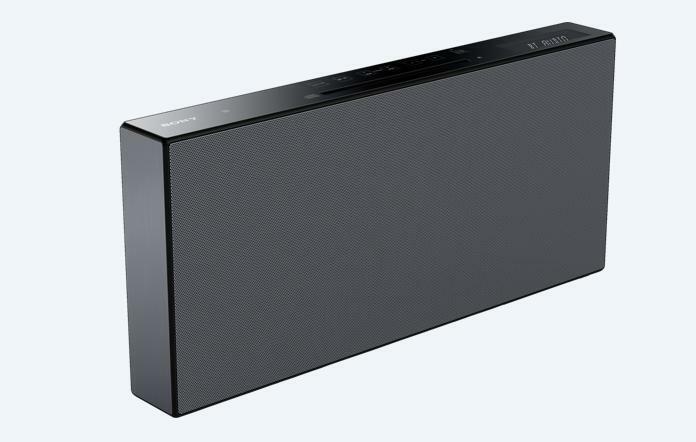 Go ahead and compare it to any other Wi-Fi® speaker this size. We think you’ll find there’s no comparison. SoundTouch™ is an entirely new way to stream music wirelessly around your home, easier than ever before. And it’s the way we’ll all enjoy our favourite music for years to come. System set up is straightforward—the SoundTouch™ app provides guided instructions on your computer or laptop. In minutes, you’ll be enjoying the music you love. SoundTouch™ systems are designed to take advantage of the expanding world of streaming music. We’ll add more of the world’s most popular music services, like Deezer™ and iHeartRadio®, in the second half of 2014. 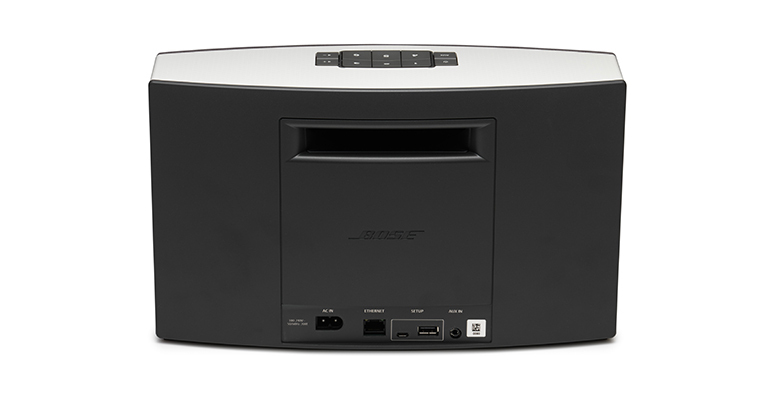 If you have an Apple® device and want to listen to Deezer™ or another music service now, we recommend using AirPlay®, which is built into this SoundTouch™ system. When it comes to music, you know what you like. 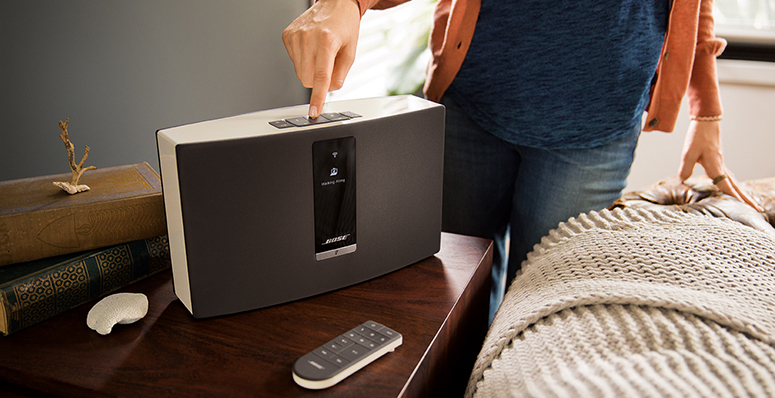 That’s why SoundTouch™ Wi-Fi® music systems feature six presets that can easily be set (and changed) directly on the system or with the free SoundTouch™ app. 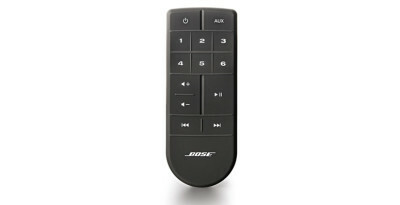 Just like that, your favourite music is ready at the touch of a button. 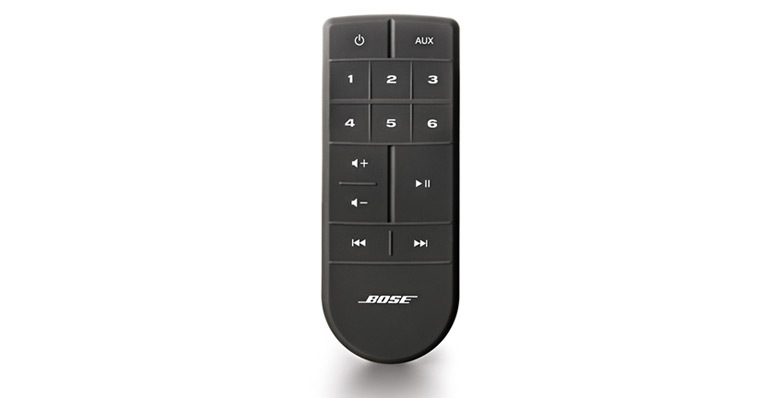 It’s a revolutionary approach that makes streaming music as easy as turning on a light—only much more fun. 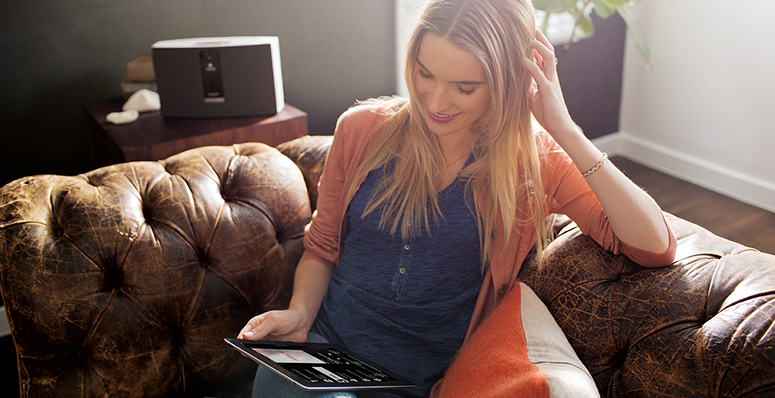 The SoundTouch™ app gives you all the control you need to access music on your system. 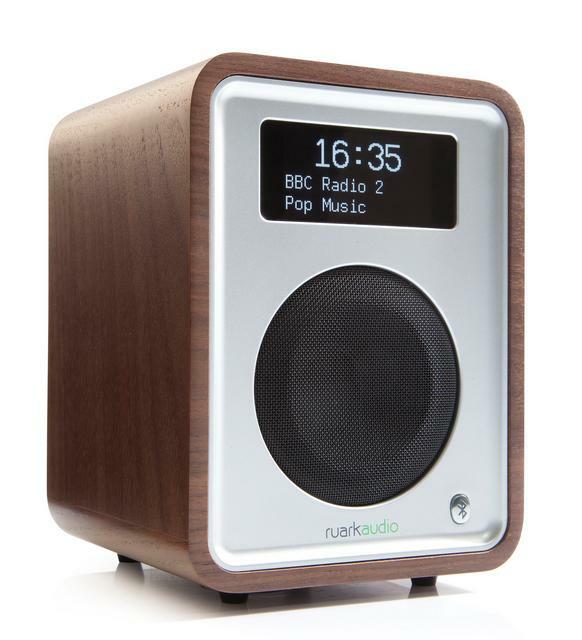 Use it to drag and drop any music source—a favourite Internet radio station or a playlist—to your six presets. Now they’re just a touch away. But when you want to venture beyond your presets, use the app with your computer, smartphone or tablet to explore other music. Browse the online musical universe or your own music library to your heart’s content. And with more than one SoundTouch™ system in the home, you can use the app to play the same music everywhere or play different music in different rooms. If you truly love music, you want it to flow through your home. 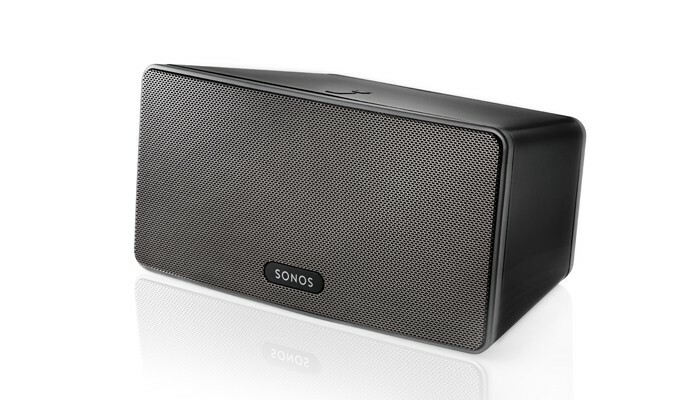 That’s why there’s a SoundTouch™ system for every room in the home—from small and portable speakers to home cinema. 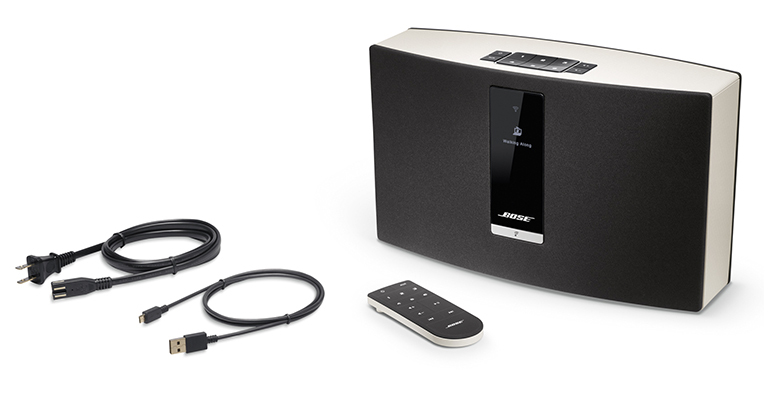 Start with any one SoundTouch™ system, and keep adding them whenever you’d like. 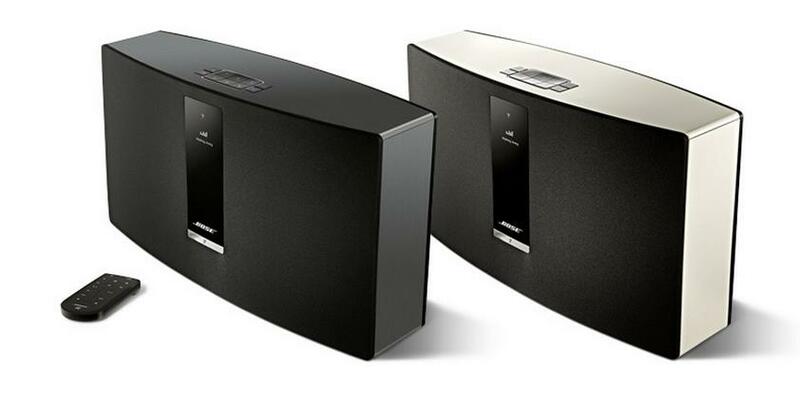 These systems work together to create a multi-room listening experience, so you can play the same music everywhere or listen to different music in different rooms—even outdoors. Potters Home-Digital E-Commerce Store. All Rights Reserved.